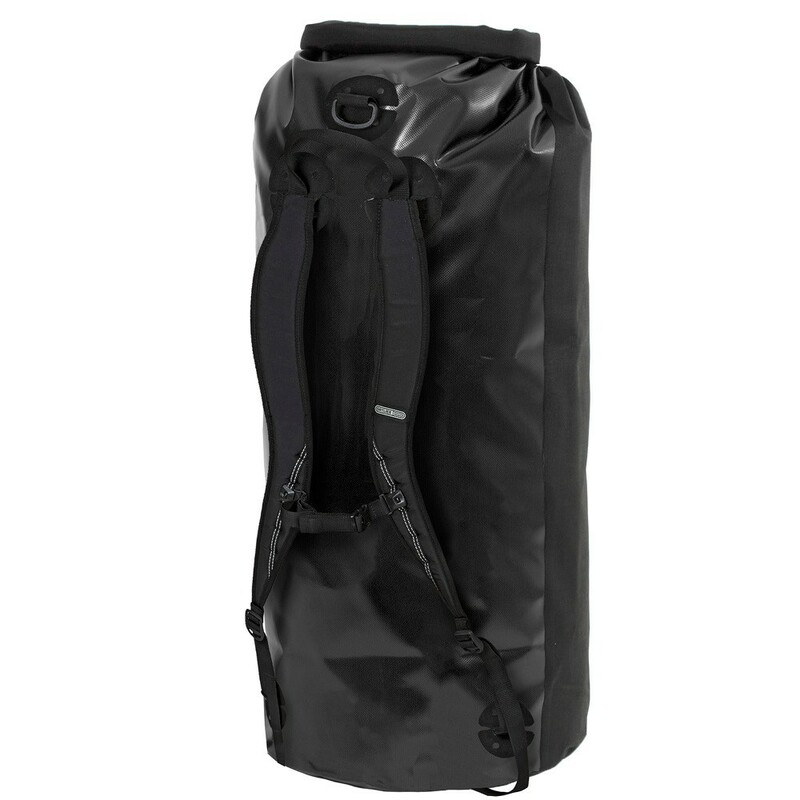 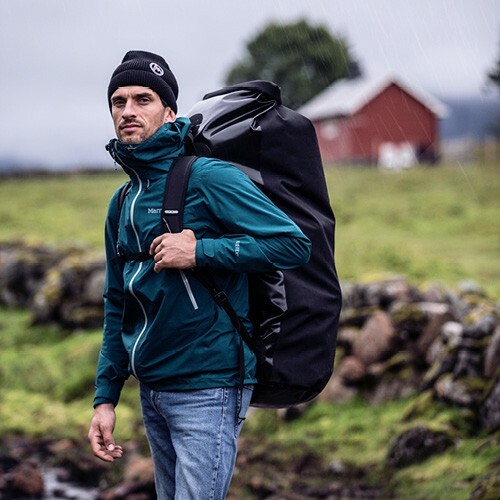 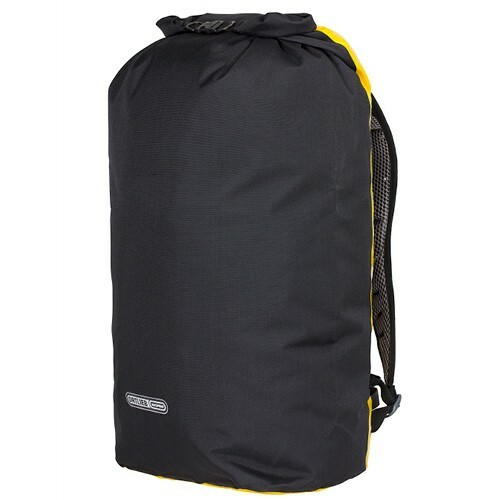 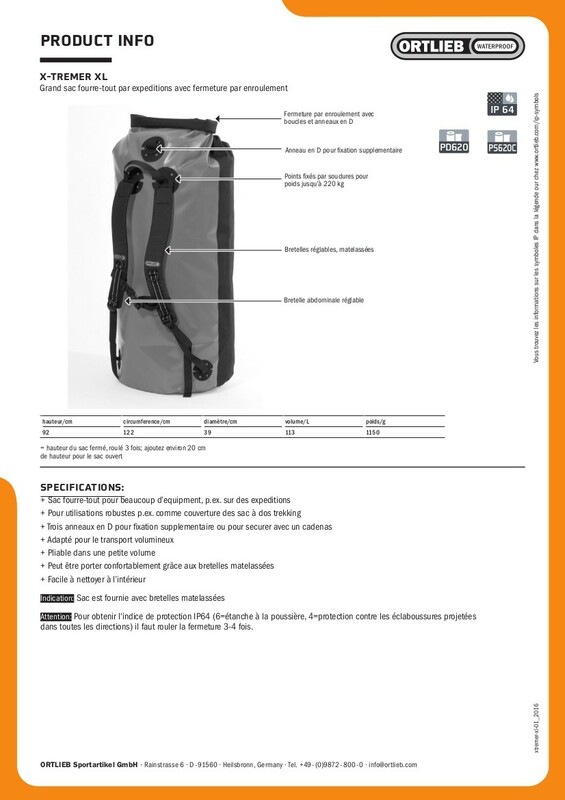 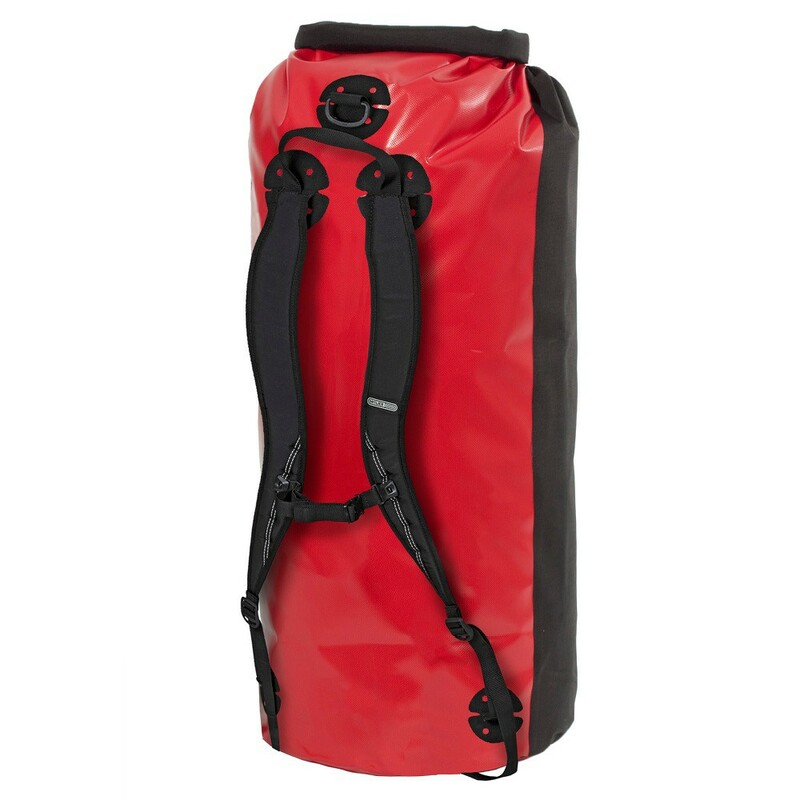 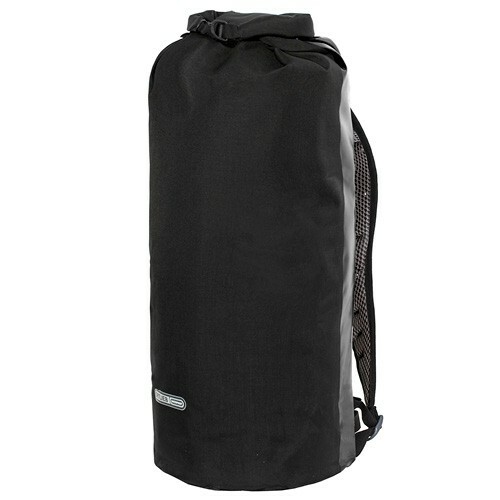 Large expedition drybag with roll closure. 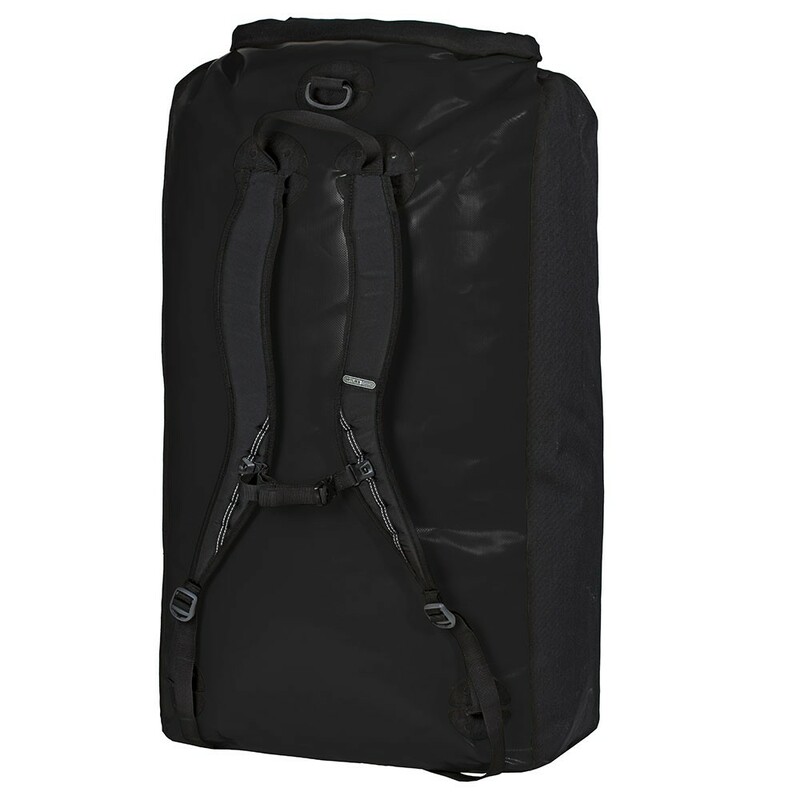 Ortlieb X-Tremer is a bag of very robust. Reliable roll closure with side-release buckle and D-rings. 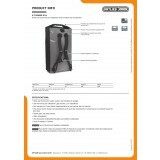 D-ring for additional safeguarding and anchoring. 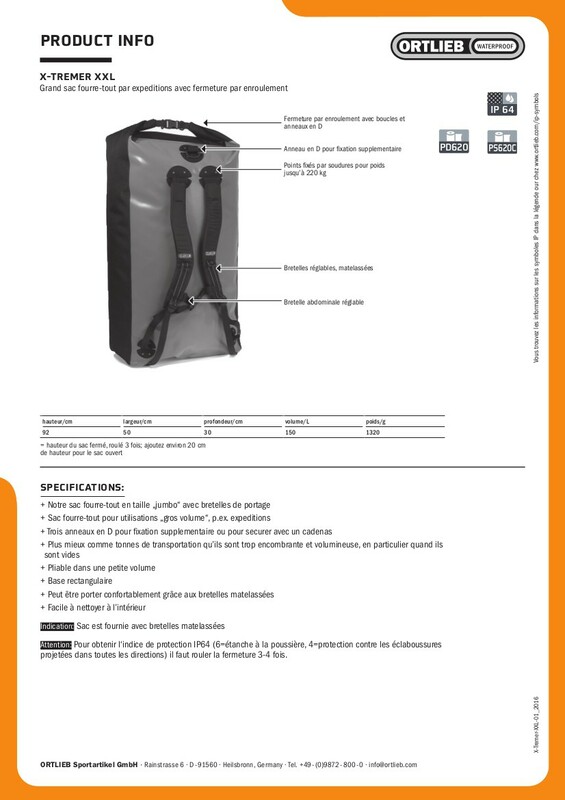 Welded suspension points designed up to a load of 220 kg. 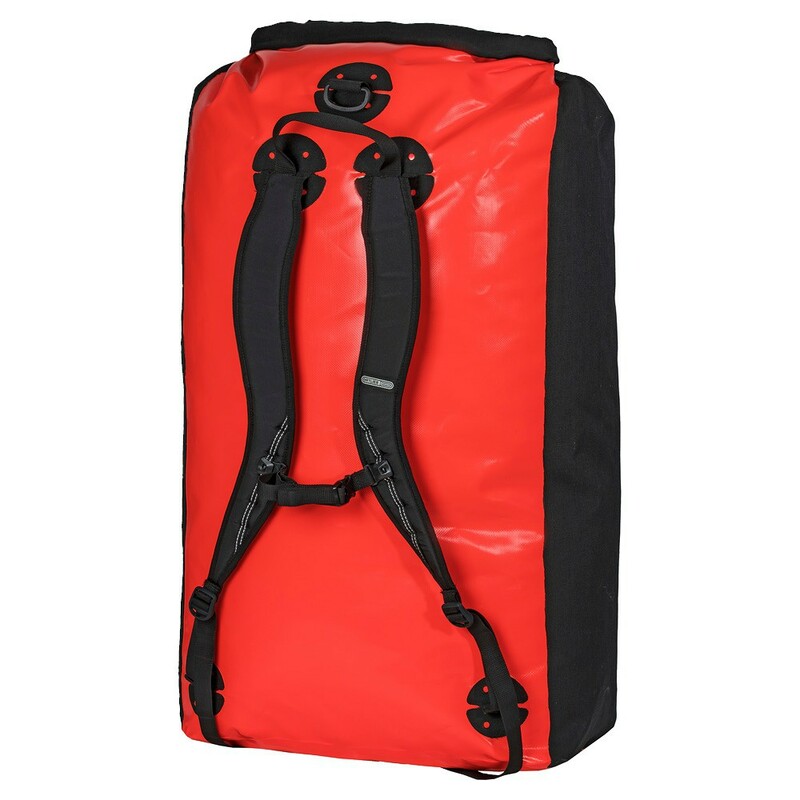 Adjustable padded shoulder straps. 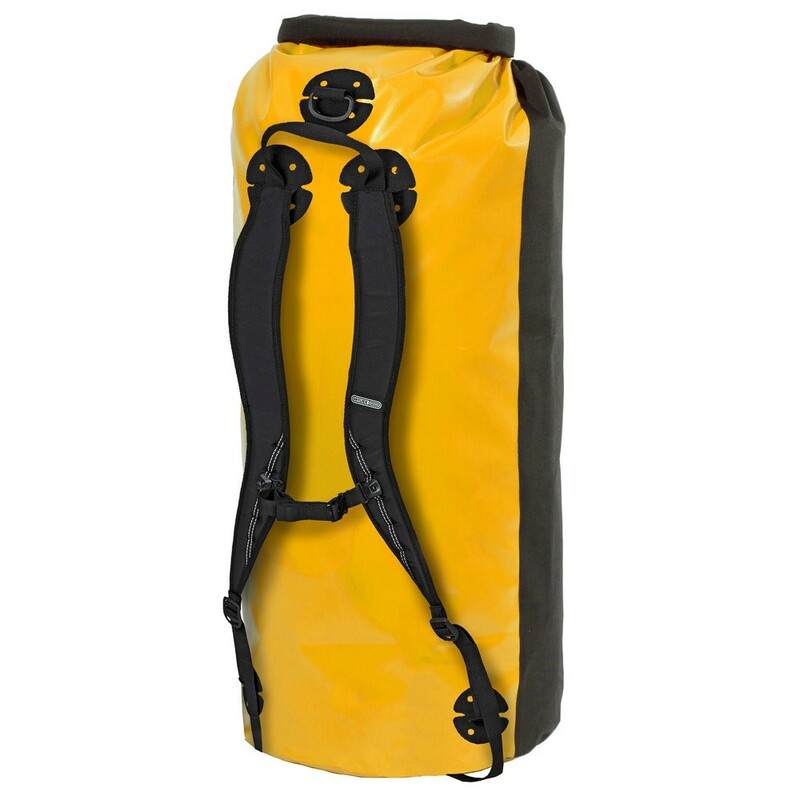 Adjustable sternum strap. 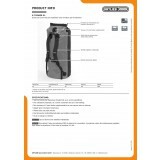 Polyester PD620 and Cordura PS620 C, PVC coated. 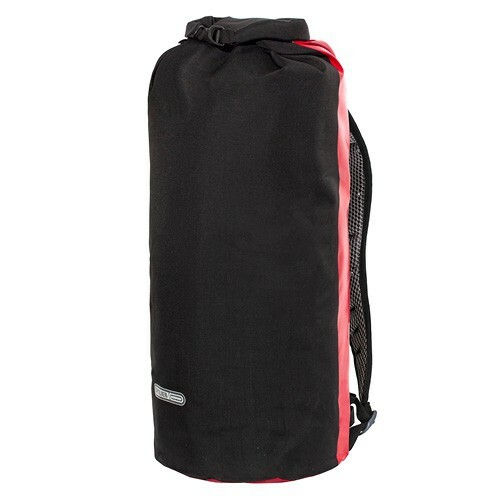 Caution: The roll closure must be rolled at least four times before the bag is fully submerged under water.